Book lover and Austen enthusiast Sophie Collingwood has recently taken a job at an antiquarian bookshop in London when two different customersrequest a copy of the same obscure book: the second edition ofALittle Book of Allegoriesby Richard Mansfield. Their queries draw Sophieinto a mystery that will cast doubt on the true authorship ofPride and Prejudice andultimately threatenSophie's life. In a dual narrative that alternates between Sophie's quest to uncover the truth while choosing between two suitors and a young Jane Austen's touching friendship withthe aging cleric Richard Mansfield, Lovett weaves a romantic, suspenseful, and utterly compelling novel about love in all its forms and the joys of a life lived in books. 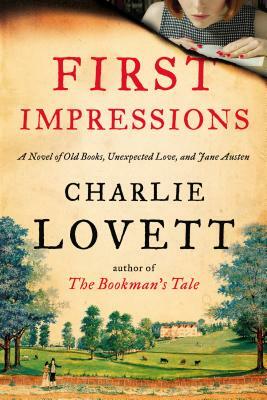 Charlie Lovett is a former antiquarian bookseller, an avid book collector, and a member of The Grolier Club, the preeminent club for bibliophiles in North America.He and his wife split their time between Winston-Salem, North Carolina and Kingham, Oxfordshire, in England."